Star Trek fans never disappoint when it comes to being creative with the fandom. The quality is always high with anything they create and the same it true with these Star Trek Enterprise ship posters. 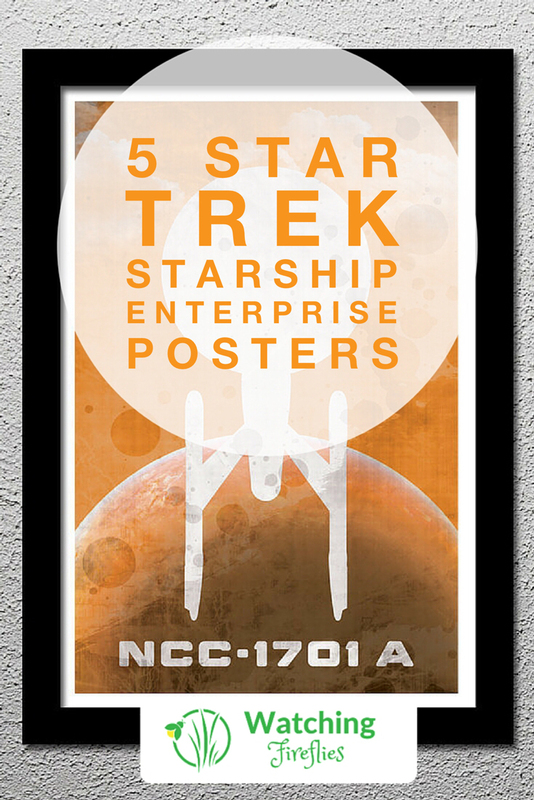 If you are a Trekkie and looking for something to hang on your wall check out these 5 Star Trek Enterprise Ship Posters. 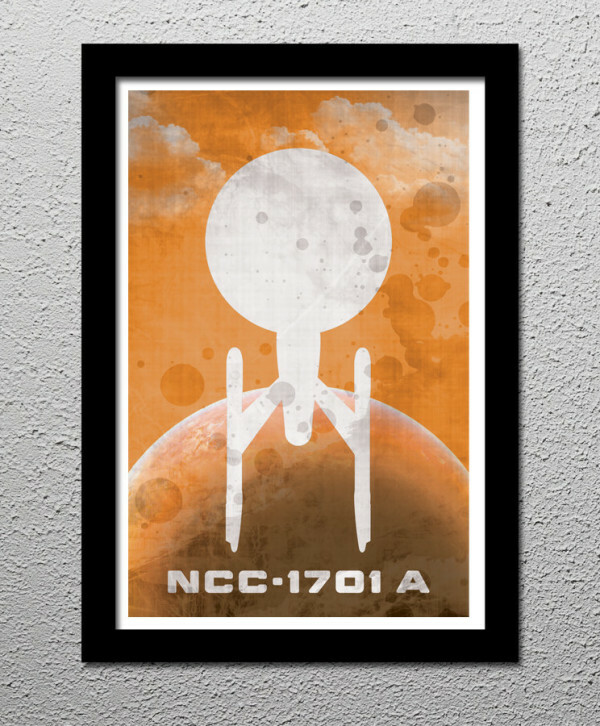 I love the minimalist style when it comes to geeky posters so naturally I love this one of the Enterprise. Simple and elegant. You can find this poster at CultClassicPosters. This poster is a really neat idea. 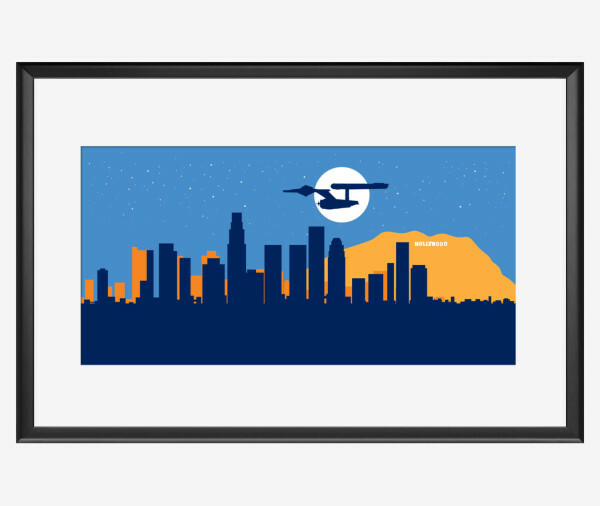 The artist has a series of posters with the Enterprise set against the backdrop of city skylines. Check out the SkyWorldProject Etsy store and see if there is your city (or one you like just as much). 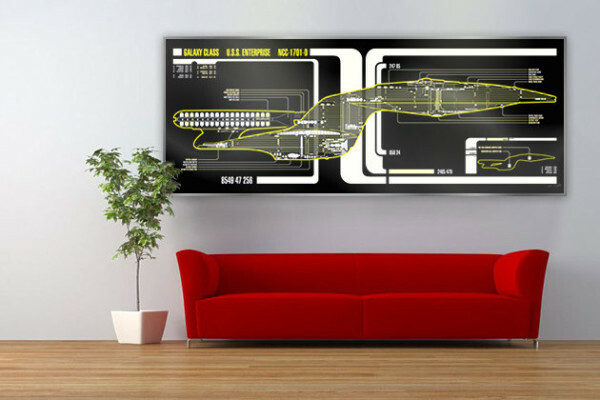 I wouldn’t be a Star Trek Enterprise poster blog post without a poster of the Enterprise ship design schema. I like the views in this poster along with the annotations, dimensions and the choice of colors. You can get this poster from Dalumna’s Etsy store. Every Star Trek fan knows the opening lines to every Star Trek episode. 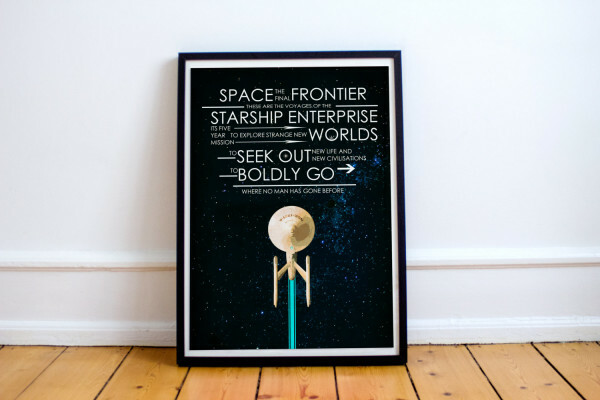 Including this iconic phrase on a poster with the star ship Enterprise makes for a fantastic print. Grab a copy from HarknettPrints. Looking for something a little bigger. 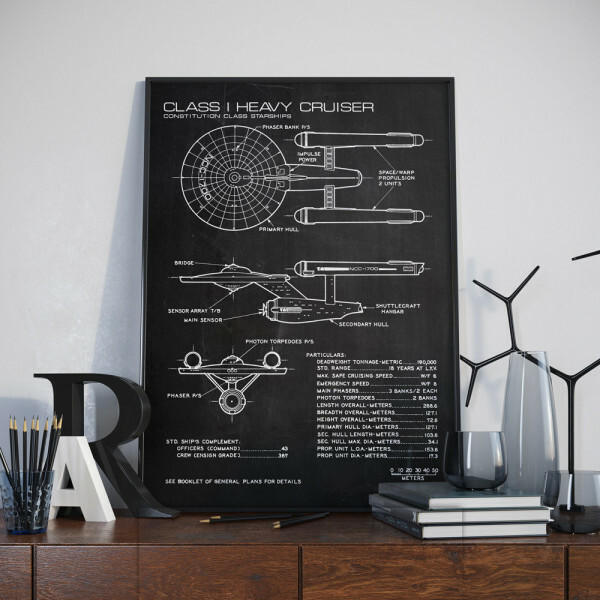 How about this impressive poster of the Enterprise NCC-1701-D. The largest print comes in at 2 meters long. That should be big enough for even the biggest trekkies wall. Grab your from LCARSStudio47. Which one of these poster is your favorite? Are there any more we should include here? Let us know in the comments below.